The sky above the desert has chosen a peculiar, almost plum-like shade of purple tonight as I’m nimbly moving past tall silhouettes of cacti and palm trees, when I see the black contours of a rock. My experience tells me that, in most cases, rocks have to be avoided, so I jump. While airborne, I glance at the dune ahead of me, and decide to attempt a backflip. The sky in the distance is a sight to behold – a full moon, barely visible among the clouds, faintly illuminates a panorama of ancient ruins left to age and crumble. In fact, the horizon is so beautiful, I don’t see another rock waiting just ahead of me as soon as I stick the landing. I hit the rock and fall face down in the sand. It’s game over. An angry lemur is chasing me, probably because I, once a mountain shepherd and now a tourist with a sandboard and little knowledge of lemur manners, woke the creature who was resting in his hut. His only goal, apparently, is to attack me and stop my speedy exploration. But I just need to make it to the next chasm and leave him behind, shaking his tiny lemur fist at me as I backflip over the void. That shouldn't be too hard. He’s fast though. Suddenly, I see a potential way out: a rushing water stream connects to a narrow wall, which I can vertically ride to hop onto a vine where I can grind, jump, and backflip to build up speed and escape the lemur. Seems easy enough. My jumps are precise and I elegantly make it onto the vine. But the lemur isn’t giving up – he’s right behind me. 10, 9, 7, 5 meters behind – he’s going to catch me. But we’re at the end of the vine now, and if I jump, I’m going to land and sprint. I take the leap and start my backflip. I think I made it. Except the lemur also jumps, grabs me, and I’m face down in the sand again. It's game over. 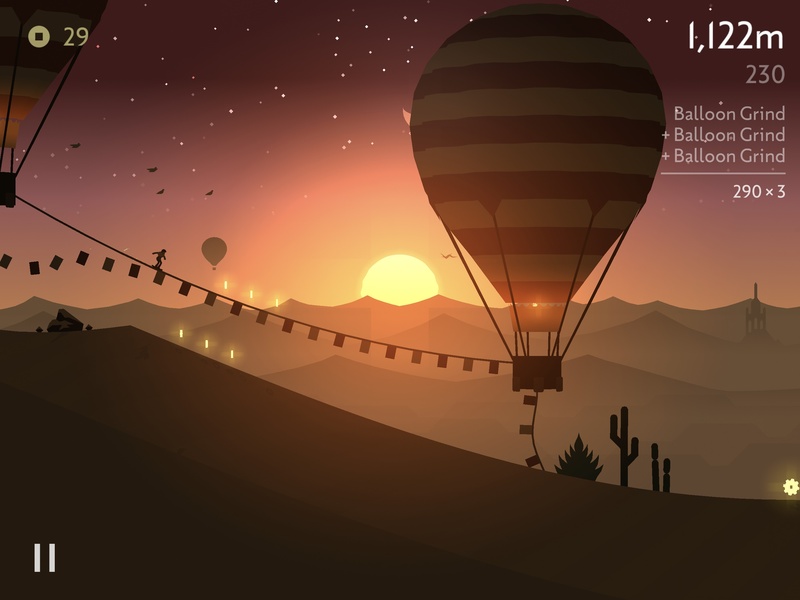 These two examples perfectly encapsulate Alto's Odyssey, the sequel to the popular Alto's Adventure, which reimagined the endless runner formula in 2015 through a blend of classic genre tropes, unique art direction, and a serene setting that, despite the game's challenges, made the experience peaceful and relaxing. Today, the original game is still widely regarded as a template for modern mobile-first game design: an intuitive control system and straightforward premise married with an instantly recognizable identity to stand out in a sea of alternatives. Arguably, Alto's Adventure didn't reinvent anything: it refined a genre by methodically simplifying extraneous elements (be them gameplay mechanics or intrusive monetization schemes) and turning elegance (of graphics, sounds, and tricks) into a distinctive feature. In a way, Team Alto achieved the impossible with Alto's Adventure: they took a widely popular mobile game genre, shrunk it down to its bare essentials, and crafted one of the most beautiful, engaging games ever seen on iOS. Which begs the question: how can you refine something already so polished, so evergreen, without feeling like a rehash of something we've seen, played, and heard before? Team Alto's answer, predictably, embodies the simplicity that distinguishes their games: you start from the "more of the same" approach and make every single aspect of the Alto universe more beautiful, more peaceful, more challenging, and, ultimately, more fun. In other words: you make the template better. On the surface, Alto's Odyssey doesn't shy away from its predecessor: you traverse dunes and temple ruins instead of hitting the slopes and descending through mountain villages, but you still control Alto and a roster of unlockable characters in what is, effectively, an endless runner with a penchant for skateboard-inspired tricks. You still collect coins to unlock permanent or consumable power-ups, and you still need to pay attention to a variety of obstacles that want to put an inglorious end to your run. The backflips and high jumps are as fun as they've ever been. The core of the experience hasn't changed. However, both in terms of mechanics and overall aesthetic, Alto's Odyssey is a more mature product, tangible proof of a team who knows they're building on top of an established success. Visually speaking, Alto's Odyssey is a triumph of diverse landscapes and color palettes that make each descent a feast for the eyes. Don't let the desert setting fool you: areas in Alto's Odyssey are lush and exotic, vibrant and poetic in a way that Alto's Adventure couldn't be. There's more variety in every corner of the game: from hot-air balloons floating above other ruins in the background to more complex structures (such as multi-story ruins and walls) and a better mix of natural elements (sand, water streams, rocks, etc. ), Alto's Odyssey has a richer, more sophisticated environment that will catch you by surprise more frequently than Adventure did. The added detail is instrumental to Alto's experience in a way that doesn't necessarily work for other endless runner-type games. The genre is predicated upon twitch gameplay and fast reflexes, which Team Alto cleverly exploited in Alto's Adventure by making its beautiful environment work against you. If you spent too much time looking at white mountaintops and green forests, you'd likely run into a rock or fall to death into a chasm. Alto's Odyssey explores this idea even further: the more variegated setting, color palettes that change during the day/night cycle, and new types of physical structures will grab your attention, but at what cost? With Odyssey, Team Alto has clearly mastered the ability of enchanting and challenging players at the same time, a carrot-and-stick design principle, if you will, that creates a strangely enjoyable, thick tension between the gorgeous elegance of the game and its ever-present challenge. In Alto's Odyssey, contemplation and dexterity aren't two mutually exclusive attributes: together, they define the game. Considered through this lens, all the major additions to Alto's Odyssey instantly feel like reasonable expansions of the creators' original idea that take this sequel in new and fun directions. Early into the game, you'll unlock the ability to wall ride and perform wall jumps, both of which open up considerably more possibilities for combos that span multiple backflips or involve jumping across chasms conveniently placed (by the game's procedural engine) below these new wall surfaces. You'll soon discover that high walls, combined with balloons and small tornados (another new entry in Odyssey), fundamentally change how you play the game, adding an element of verticality that pushes you to rise above the desert to perform the best tricks. Wall riding lets you jump higher and chain more tricks together. Furthermore, you'll realize that each of Alto's returning friends affects gameplay in a different way: Maya doesn't build up speed as fast as Alto, but she can backflip faster, which means you'll be more likely to successfully complete double and triple backflips with her; Paz is heavier, but once he builds up speed, he can perform insanely long or high jumps, which are perfectly suited for wall riding and jumping. The wingsuit also returns in Odyssey, and it ties into wall riding as well as the ability to bounce off hot-air balloons. The highest combo I performed so far involved a wall jump that let me land on a balloon, where I then activated the wingsuit to fly higher, perform a triple backflip, and bounce off two more balloons. It was glorious, and a testament to how judiciously-applied variety hasn't overcomplicated Alto, but simply made it more fun to play. In every corner of the game, there are changes, both big and small, that refine the classic Alto experience without alienating longtime players or discouraging newcomers. Collecting coins, for instance, still plays a big part in the game's economics: you need to collect them to buy upgrades (or new gear in the Workshop). In Odyssey, you'll often see large coin-laden crates that have been placed on a narrow, disjointed platform of a temple ruin, which will require you to time your jumps carefully and choose between building speed or reaching for gold. And if you manage to stay focused while the game alternates between night and day or rain and sandstorms or temples and water pools, all while not being distracted by the tasteful arrangement of pastel colors, and if you keep in mind how character abilities relate to tricks and challenges, only then will you appreciate what truly elevates Alto's Odyssey's gameplay: a sense of urgency and instant gratification, thoughtfully moderated by the unforgiving beauty of nature. I have a unique relationship with endless runners on iOS. When I was undergoing cancer treatment in 2012, the original Ski Safari was the only game I could play on my iPhone 4s while I was...waiting for something to happen – my oncologist reading a scan response, being called into the operating room, or chemo's slow drip doing its thing. Any game with too much story and too many layers of gameplay, and I wouldn't be able to hold my attention and follow along; anything too difficult, and I'd get frustrated and stop playing altogether. Ski Safari felt just right: it was fun and lovable, challenging but not impossible. I have a distinct memory of breaking my personal record in Ski Safari while sitting in a wheelchair and waiting to be called in for surgery. It's funny how we hold onto these irrelevant, sometimes even awkward, details. Once that period of my life was over, I realized I couldn't enjoy endless runners anymore. In my mind, playing an endless runner had been connected with striving to quell the fear of sickness – almost as if the game was a necessary remedy, not an enjoyable, conscious decision. For at least a couple of years, I stopped playing any kind of game even remotely similar to Ski Safari. That changed with Alto's Adventure, which, as I elaborated in my original review, used "design to offer an engaging, relaxing, and beautiful experience". On one hand, I'm sure that Alto's Adventure captured me because I just needed to take some time away from the genre; it was my endless runner palate cleanser. On the other, it's evident that, in hindsight, Alto's Adventure's astounding blend of evocative art direction and refined gameplay was something truly new that millions of other people also fell in love with. For the past three years I, like many others, have frequently returned to Alto's Adventure's snowy mountains because, at a deeper level, beyond the fun and the challenges and the tricks, the game is a fantastic cure for stress and anxiety. This is an aspect of the game that took me time to fully understand, and perhaps even accept: what Ski Safari did in specific health-related occasions, Alto's Adventure consistently achieved every day, with every play session. I don't think I'm alone in considering Alto's Adventure a relaxation technique of sorts; the fact that the developers added a Zen mode to the game suggests they're also aware of the game's unique benefits. I wanted to include this digression in this story because I need to point out that, from this perspective, Alto's Odyssey is superior to Alto's Adventure in every way. Zen mode, which has no challenges, coins, or game overs, is included from the start. But even if you prefer to take on high scores and the challenge of unlocking characters and achievements, the game's serene music and soundscapes, coupled with its masterful art style, create a kind of pleasant tension that doesn't induce anxiety. Alto's Odyssey can be challenging, but it's not demanding, and I find it to be a calming experience that helps me take my mind off the preoccupations of daily life without putting too much effort into deciphering the game's rules, while still feeling rewarded at the end. 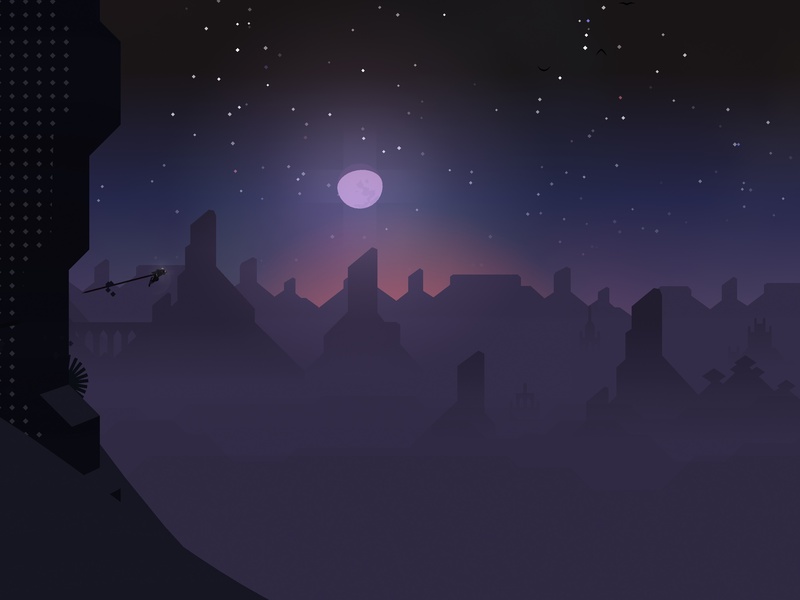 The wider variety of areas, the warmer colors, and ambient soundtrack imbued with exotic tones make Alto's Odyssey another standout experience that, even more so than Alto's Adventure, turns traditional endless runner gameplay into a peaceful, relaxing descent punctuated by moments of ecstasy and thrill. 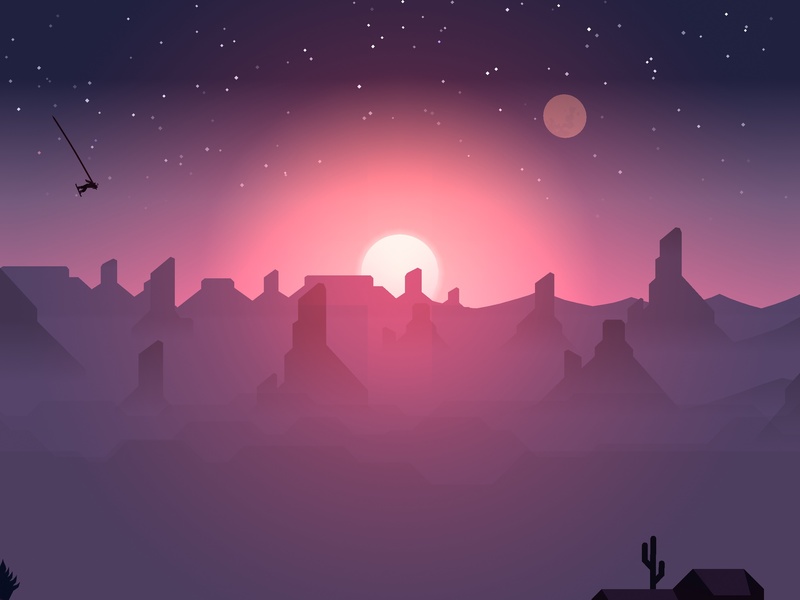 When I saw the first teaser for Alto's Odyssey sometime last year, I was concerned by the prospect of a mere Alto's Adventure remix in the desert. My doubts evaporated after playing Alto's Odyssey on my iOS devices1 this past month: Team Alto aptly managed to add elements of surprise while keeping Alto consistent, layering new features over Alto's successful template without compromising its nature. Team Alto's work on Odyssey is an exercise of mindful design and restraint that is sadly rare to find on the App Store these days. We should all play, study, and cherish games like Alto's Odyssey. Alto's Odyssey strikes an ideal balance of maintaining the formula of its predecessor while evolving and daring to leap towards unexpected, beautiful heights. Ultimately, this is what makes Alto's Odyssey a better game, a more fun challenge, and a calm desert you'll want to get lost in over and over again. Alto's Odyssey is available on the App Store at $4.99.